In just a few days, Pope Francis will officially start the Jubilee of Mercy by opening the Holy Door. This Extraordinary Jubilee is specifically the Year of Mercy, but actually every Jubilee Year focuses on forgiveness. One of the best visuals for the story of God's salvation and forgiveness is the Holy Door in the Vatican. This door (and others around the world) will be open for this entire (Liturgical) year and is an invitation for pilgrims to walk through as an outward sign of the inward choice of turning back to God and accepting his forgiveness. 1. Print the door and use as a coloring page. 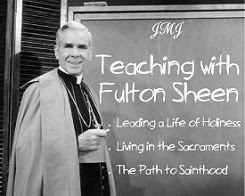 Talk with the kids about the stories that are represented and the theme of mercy and forgiveness. 2. 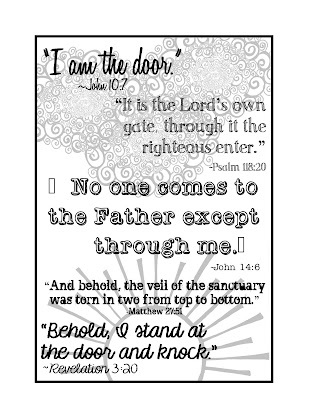 Print the door and the Bible reference pages. Cut open the door and panels (lots of possibilities below) to reveal the story behind each picture. 3. Using the door and references, do a Bible Study at the kids' level. Read the passages and discuss how mercy can be found in each story. Using the blank paneled door, let the kids create their own images of each story. 4. Do any of the above activities, and add the last layer, with Scripture verses helping us picture heaven. The verses remind us that Christ is the door (Jn. 10:7), the righteous enter through the Lord's gate (Ps. 118:20), we come to the Father through Christ (Jn. 14:6), the veil was torn and we can enter into the sanctuary (Mt. 27:51), and that Christ knocks at the door of our hearts (Rev. 3:20). 5. Using the real door as a model, have each student make their own illustration of the Biblical stories on a 9x12" piece of construction paper. 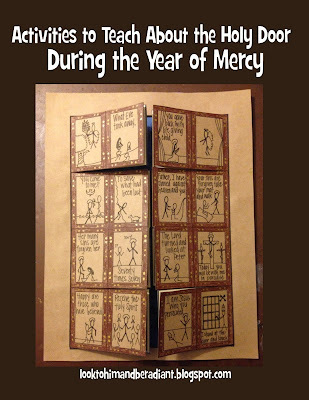 Attach the panels to a door so that the students can walk through their own door of mercy. 6. Using the Biblical examples, have the students journal during prayer time ways God has shown them mercy and forgiveness. 7. Using the theme "Merciful Like the Father," brainstorm with the students ways we can extend mercy and forgiveness to others. Ready to print and get to work? 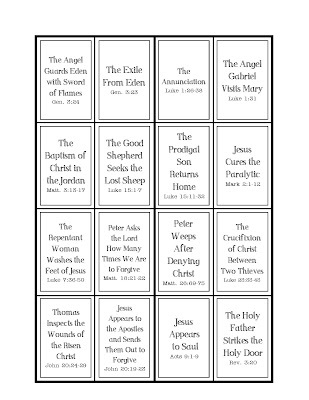 Scroll down to download the Holy Door Activities. I printed the door on tan cardstock and then colored the borders a darker brown. I went a little crazy and used a gold paint pen to add the bolts that are visible on the actual door. You could stop there, and just talk about the scenes of mercy evident on each panel. OR you can continue with the activity and make the doors open! Fold the page horizontally and clip the middle. Then unfold, stick the scissors in, and then cut up to the top of the door and over. Repeat with the bottom half. After you cut open the doors, you can glue it to the "heaven" page, emphasizing crossing the threshold from an old life to a new one. To finish this one, just run a line of glue along the edge of the heaven page and then place the door over top of it. And if you want to get very bold and detailed, you can use a xacto knife and cut three sides of each panel. Looking for more activities? Click on the Year of Mercy tag below, and check back on December 8th for a complete list of everything I've compiled for this Jubilee Year. This looks wonderful! I recently read an article about The Holy Door and was amazed. I never knew about it and so I'm excited to teach this part of our faith to my children. I will definitely be using these printables with them. Thank you so much for all of your work in doing this. - Laura G.
Yay, I'm so glad Laura! If you see this comment, I'd love to read the article you liked so much so I can add it above. I feel like there will be more and more published in the next few days, but right now, I've had trouble finding good sources :) Thanks! The article I read was in the Catechist magazine, November/December, 2015 issue. It is titled "Merciful Like the Father, Celebrating the Jubilee Year of Mercy". It was very informative. I'm going to re-read it since I always seem to learn something new the second time around. - Laura G.
Thanks, Laura! I saw that one too, and it was great! THANK YOU!! This is wonderful! God Bless You! Thank you thank you thank you!!!! You have such a gift!!! I just love all your ideas and you are so kind to share them. God bless you! This is wonderful ideas for kids, thank you so much! I offer a pray for you, Blessings! Here I was wondering how I was going to engage the children in this topic and you have done it! Thank you so much for a fantastic resource. You are welcome, and thanks for your comment! Hi! I'm sorry you were having trouble! I checked, and the links are all working. When you click on the last four images in the post, they should take you to a pdf stored in Google Drive. You can download it straight from there- you don't have to be a google user, etc. If you are still having trouble, email me at katherine (dot) bogner (at) gmail (dot) com. This is amazing and thank you for sharing. 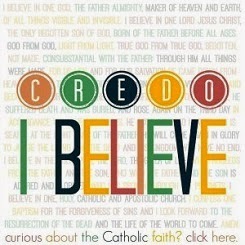 I will be using with my 2nd grade CCD class! May God Bless you and I thank you for your talent and the most precious gift of sharing. You opened a window on the web to share this wonderful resource. 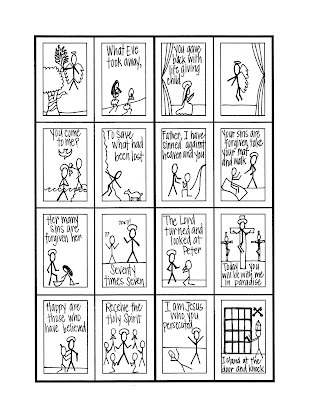 We will use this in our children's liturgy and Sacramental Prep. Love and Prayers from Geraldine, Norma and Loretta St Mary's Parish Edlington in Doncaster U.K. I teach art at a K-8 Catholic school and will put this to great use--THANKS! May God bless you! So great, Beth! Thanks so much! Thank you Katie Anne. The resources are awesome. I teach at a Catholic school in Cape Town. I am sharing these resources with all our teachers and children (age: 5-13). God bless. Thanks, Karen! I'm so glad that it is a good resource for you, and I appreciate you sharing it! 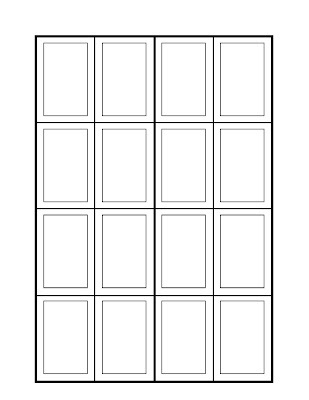 I was wondering if you have a template where I can give one panel of the door to each of my students that would be a full size coloring page. Hi Kate! Thanks so much! I don't have a template like that... If I could easily zoom in on each scene I would, but the quality would be too low. My students actually each made a full page of each panel on their own using these printables as inspiration. Those that wanted to created their own drawing for the story they were assigned could, but those that needed some guidance used the stick figures in the example to get started. Sorry, I don't have the post up about how that turned out, but I hope to soon! 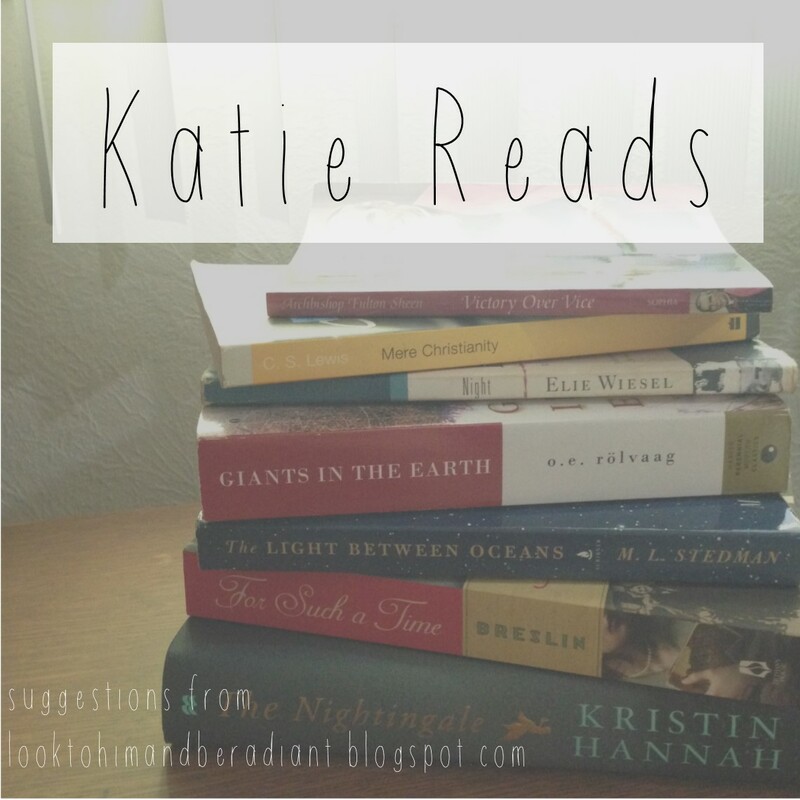 If you have any questions, you can email me at katherine (dot) bogner (at) gmail (dot) com. Happy Year of Mercy! 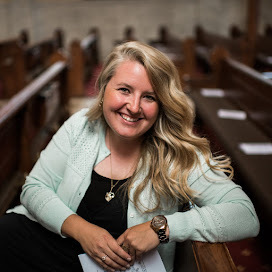 Thank you so much for the great ideas you are sharing, I hope to put some of them into action in our Children's Liturgy group and in the parish. Diolch yn fawr, Dduw bendithia chi. That's so great! I'm glad that it is a good resource for you! Thanks for stopping by! Thank you very much for providing this. I will use it with my 4th grade class. How cool Wendy! I love how the pastels turned out- what a great idea! Thanks for linking back and commenting! Of course! That is exactly what this is here for!